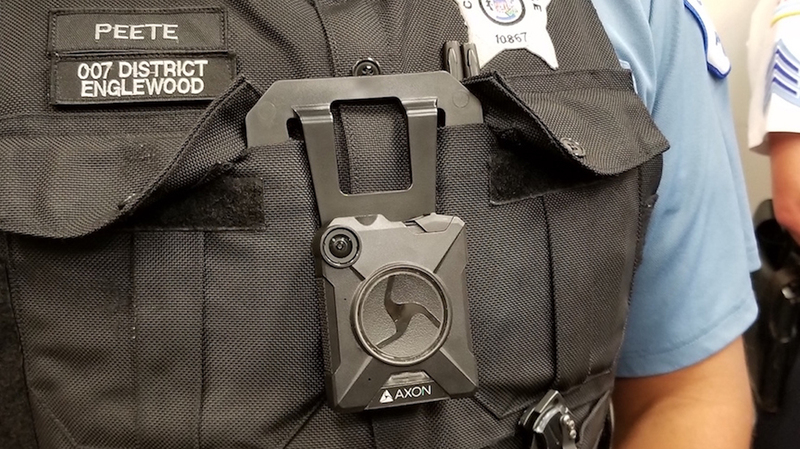 Last month, the Chicago Police Department announced a goal achieved one year ahead of schedule: outfitting all of its patrol officers with body cameras. But the Fraternal Order of Police – the union representing the bulk of Chicago’s 12,000 rank-and-file police officers – is fighting the measure. The union filed a complaint a year ago with the Illinois Labor Relations Board arguing the 2017 widespread rollout of officer-worn body cameras wasn’t properly negotiated with the union and thus violated the its labor contract with the city. Last week, the FOP scored a win after administrative law Judge Anna Hamburg-Gal ruled the city “failed and refused to bargain over the effects” of the body camera implementation with the union. The judge’s order recommended both sides negotiate the body camera program in good faith and directed the city to overturn any disciplinary action lobbed at officers for the misuse or loss of body cameras distributed as part of the program. In explaining its opposition, the FOP has pointed to privacy and safety concerns raised by body cameras, including the potential for a camera’s light to flicker during covert operations, exposing an undercover officer to danger. But in an emailed statement to Chicago Tonight, the Police Department said undercover officers do not wear body cameras. The FOP and the city are currently negotiating the terms of its next labor contract, which will be subject to City Council approval. FOP President Kevin Graham joins us to discuss his union’s opposition to officer-worn body cameras as well as other aspects of the FOP’s contract with the city. Dec. 11: More than 7,000 sworn officers and personnel in the Chicago Police Department are now outfitted with body-worn cameras, a goal the city says it met more than a year early. Sept. 27: Chicago police officers are getting new use-of-force training, but the city’s largest police union is objecting. April 20: Newly elected Fraternal Order of Police Chicago Lodge President Kevin Graham, a 21-year veteran of the force, shares his concerns and priorities.